Add a traditional touch to your serving options with the Golden Flora Bowl, a true depiction of craftsmanship from the royal times. The serving bowl is sure to add a cultural and artistic touch to your dinner collection. The intricate carvings on the lid are sure to complement your bright coloured cutlery. The royal shade of gold is sure to stand out and project poise and superior image to your visitors. 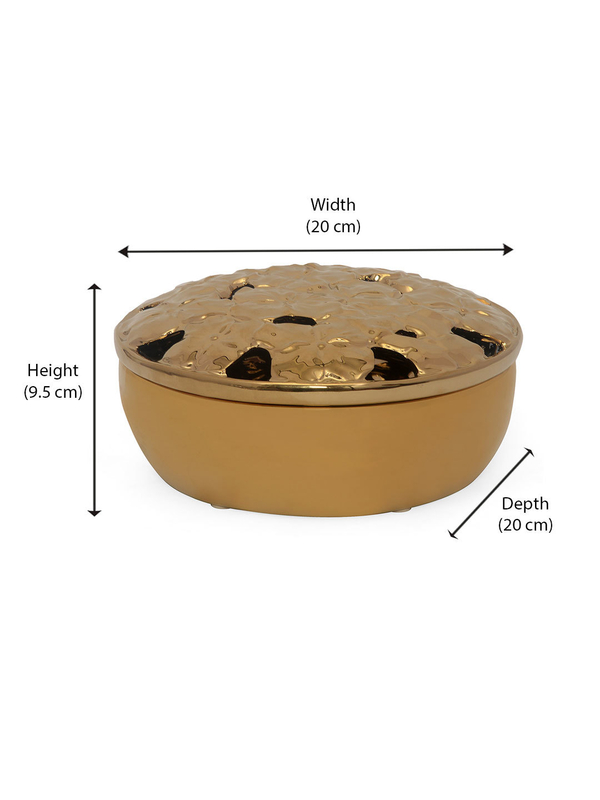 Serve your guests in the beautifully crafted Golden Flora bowls and see your dining experience reach an all new level.